Although there were many factors stacked against the crew members of the ill-fated Franklin Expedition of 1845, one theory about what caused their demise has been dubunked by researchers at Saskatoon's synchrotron, the Canadian Light Source. "In the synchrotron we are able to put these little fragments of bone into the beam," David Cooper, the Canada Research chair in synchrotron bone imaging, said in an interview with CBC Radio's Saskatoon Morning. A close inspection of the crew's remains found high levels of lead, relative to modern populations. Those findings, combined with the discovery of lead-lined food tins found by archaeologists, created a foundation for speculation that lead poisoning may have compromised the sailor's decision making abilities, leading them to embark on a deadly march to Hudson Bay. "The theory took hold from there," said Cooper. David Cooper is the Canada Research chair in synchrotron bone imaging. Cooper and his colleagues were able to peer into small bone samples from the crew. 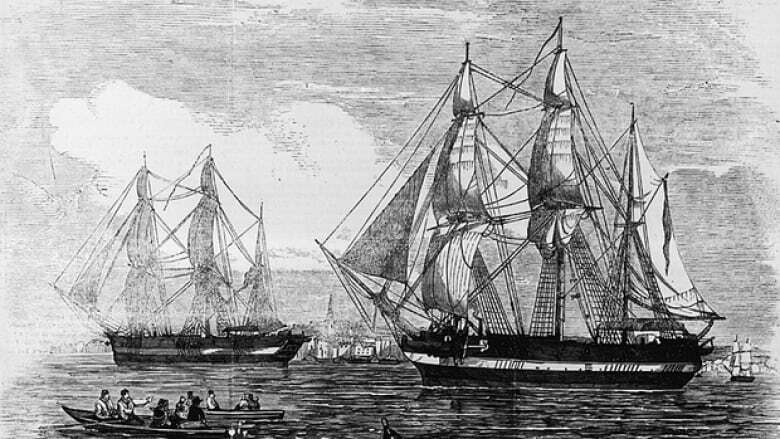 While they did find evidence of exposure to lead, it did not happen in the short time period that the Franklin Expedition crew was stranded in the Arctic. "Your bones replace themselves very slowly, a few per cent per year, so if they have lead distributed extensively through their bones, that suggests much of it went in well before the expedition." Cooper said this should not come as a surprise. "It's not a stretch of the imagination to understand how people die after two or three years in the Arctic. This was a desperate situation, food supplies are running low, and there is evidence of cannibalism later on in the expedition. I think what's remarkable is that they survived as long as they did." Still, Cooper said, this is valuable work which will help scientists better understand how lead accumulates in the body. "One of the big questions in lead poisoning in archeology is that bones passively take up lead from the environment, which further complicates things."